The Relished Roost: Miles Redd,"The Big Book Of Chic!" 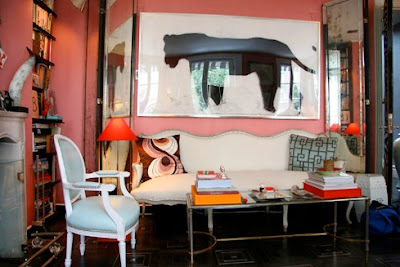 Miles Redd,"The Big Book Of Chic!" 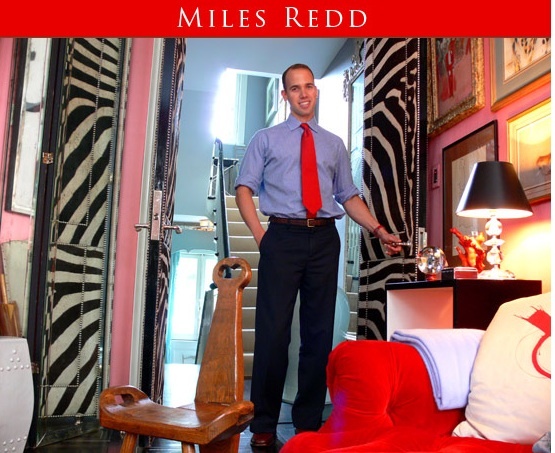 We love Miles Redd! The lecture he gave on fashion’s influence on interior deign was informative and inspirational. He is a true” Maximalist”, in the best of ways! His interiors have their footing in both true English and French influences. Each space he has created whether it his own or a client’s is steeped in personality and warmth. 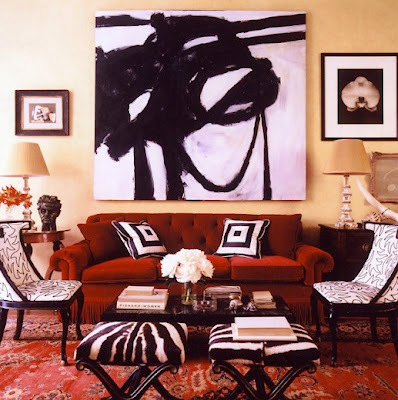 There is definitely nothing austere about Miles Redd style of decorating. 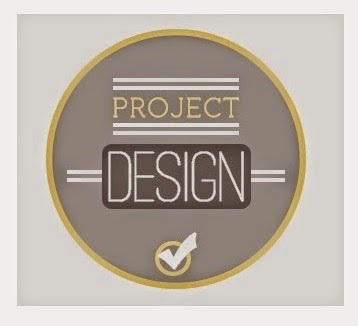 We find that he has done great research of past tried and true design that he then reinterprets into a project that he is presently working on. 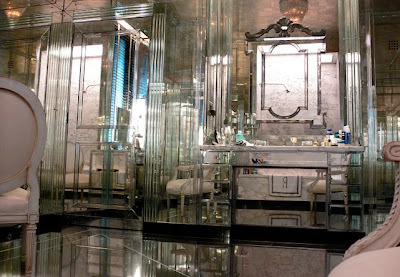 He has used the best design techniques from such masters such as Syrie Maugham, Jansen, Robert Adam, David Hicks, Cy Twombly as well as favorite fashion influences, Oscar De La Renta, Yves Saint Laurent, Bill Blass, and of course Coco Chanel! 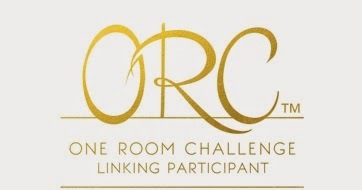 It was amazing to have him explain how various rooms he decorated came into being, and how one room’s window treatments were directly based on Audrey Hepburn’s outfit from the horse race scene in My Fair Lady. That is using fashion in the literal sense! 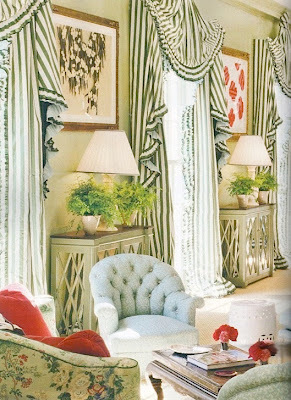 We truly see the direct correlation between Miles Redd’s artistic back round and the colors he chooses for spaces. This man is definitely not afraid of strong color. 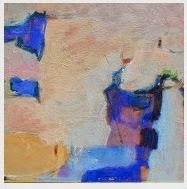 Deep yellows, rich reds and sharp blues, all reminiscent of Mondrian seem to pop up somewhere in each of his designs. However, besides strong color he is a big fan of black and white and all things reflective! He has found ideas by simply studying a black and white photograph that has strong lines even the influence of a black and white Chanel suit has helped to design the most beautiful of rooms. One of his favorite black and white muses if Lisa Fonssagrives. He said he was struck by her angles, such as her sharp eyebrows etc and a room could be inspired by that. One great quote he used was,“If you can’t paint it black put it on the street!” I think we have learned so much from Miles. What really resonated with me is that it’s is all about great contrast. One must not be afraid to mix organic and geometric, old with new etc. Most of all elegance is refusal. Don't be afraid to wait for the right piece! Don't just fill the space in order to complete it, wait and savor the original design wish and stick to it You will all be happy to know that come September you too can enjoy a design lesson from Miles, as his first book is due for release! Of course the title is thoroughly fitting of its Chic author-“The Big Book Of Chic!! 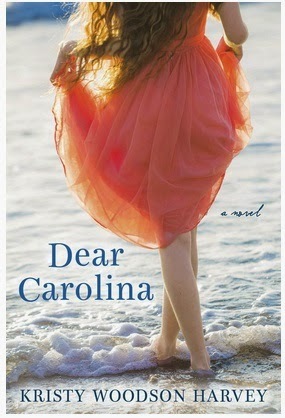 I know we will place our order as soon as its available, I hope you join us too as you will not be disappointed in any book by Miles Redd! 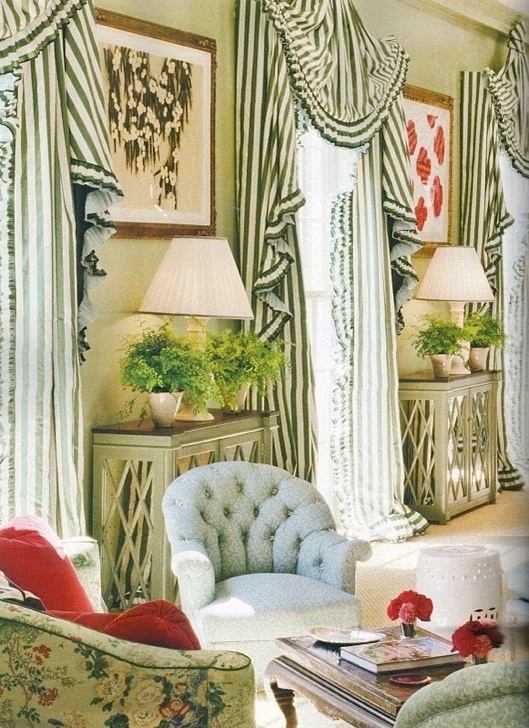 Miles Redd in his NYC apartment, with his unique self designed Zebra upholstered doors! 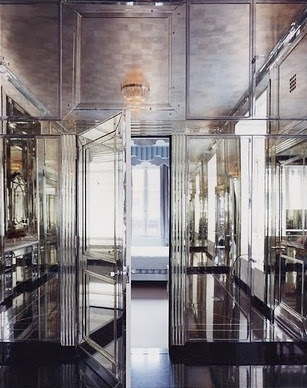 The amazing bathroom for the David Adler Armour estate, in which I had each piece shipped across the country to be reinstalled in his New York bathroom. Again, the reflective mirrored master bath. When asked what one of his favorite pieces was, he stated the Panther which was painted by his friend Leslie Heam. If you can't paint it black put it on the street!! 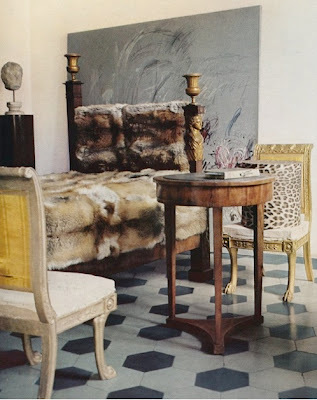 Cy Twombly apartment which influenced many of Miles designs. Lisa Fonssagrives the muse behind the black and white design! 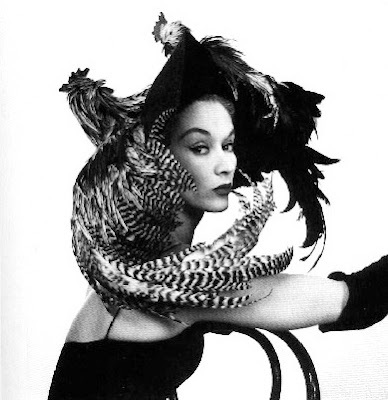 I think Linda Evangelista could be todays Photographic muse!! What an idea for window treatments, or even a room based around this photo! 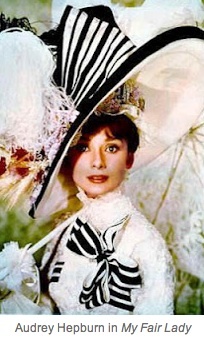 The famous Audrey inspired Drapery , fabulous and make me want to watch My Fair Lady!! 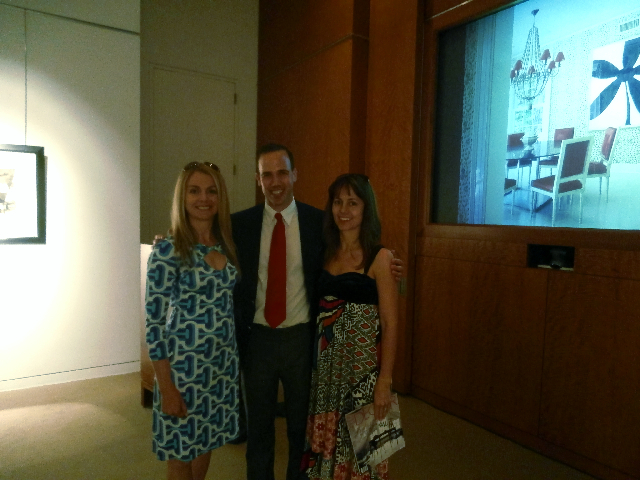 Thank you so much Miles Redd for such a wonderful lecture! Multi-talented designer. I have been following him for ages, and I love almost everything he designs! Every time I think I will go neutral, I see something that Miles has touched! Can't wait for his book. 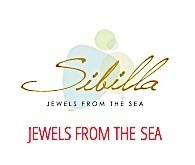 I will be there to buy! Wish you could have been there, what a personality!! Love him! Love, love, love Miles... Everything he creates is magic. I'm certain he was charming and inspirational in person. Please stop by for my Lavender Dreams giveaway. Thanks!! 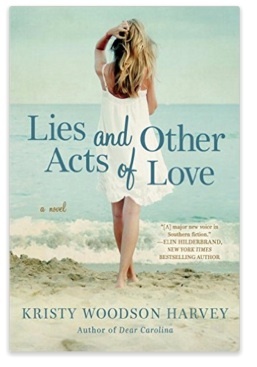 will definitely check out the Lavender Dreams giveaway!!! This is fantastic! 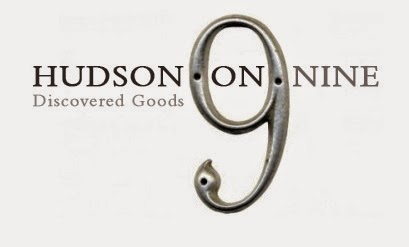 we are looking for a speaker for the Lauritzen Gardens Antique Show for 2013. Miles is on the list, and this is so helpful!